The Bbq Grill Rack is made of high quality food grade stainless steel,25cm elongated heat-resistant wooden handle provides safe and comfortable grip, which will keep you safe from the heat generated by grill. It is not only easy to grill but also safer.Hinged on the top and has a lockable base. 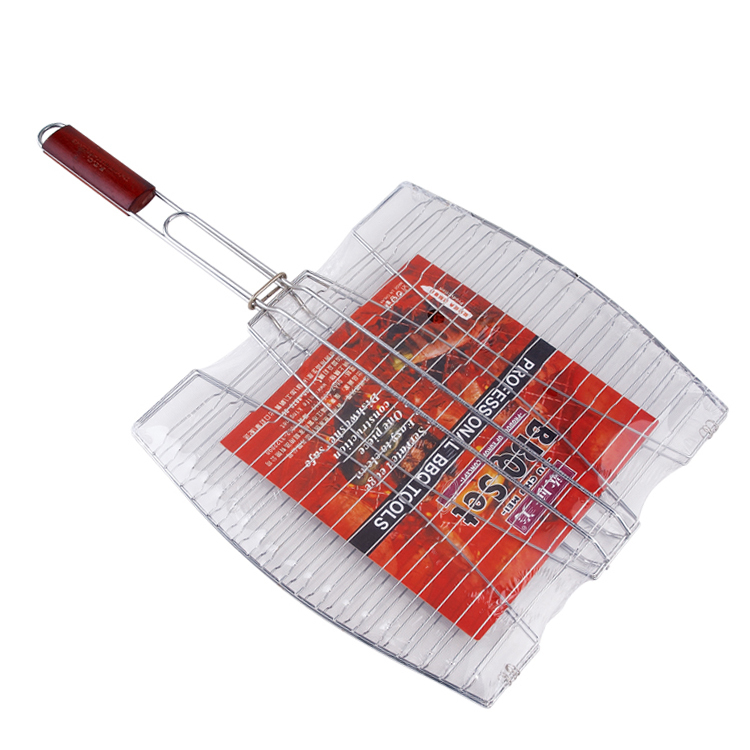 Convenient for use during grilling and keep food safe while grilling. It can be used with multiple gas grill, charcoal grill, smoker grill, porcelain grill, infrared grill and so on.The Bbq Grill Basket is a good helper to bbq Grill Oven. Looking for ideal Barbecue Grill Rack for Fish Manufacturer & supplier ? We have a wide selection at great prices to help you get creative. All the Wood Handle Grill Rack are quality guaranteed. We are China Origin Factory of Long Handle Grill Basket for Steak. If you have any question, please feel free to contact us.